Capoeira is an Afro-Brazilian martial art that involves dance, sport, culture, music, and history. 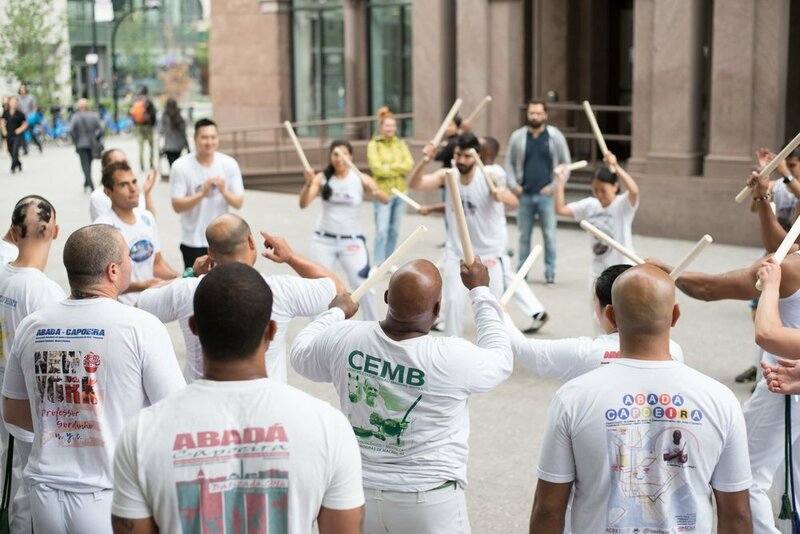 The "Capoeirista" develops the ability to defend and attack in a creative and efficient way. Developed by enslaved Africans in Brazil in the 1500s who were forbidden from practicing fighting, capoeira had to be disguised as a song and dance, resulting in a dynamic martial art unlike any other. 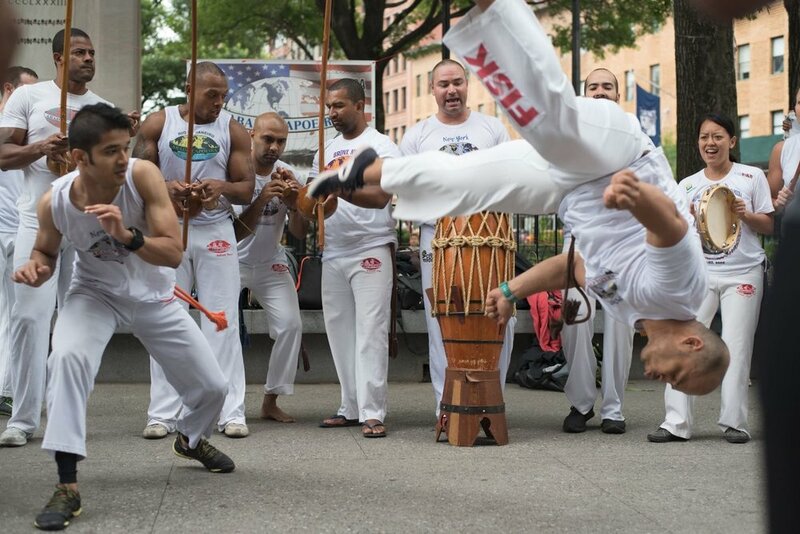 Capoeira is a distinct form of combat that is traditionally practiced by two players who perform attacks, evasions, and acrobatics within the circle ("roda"), while following the rhythm of music played around them. The music is performed by the "berimbaus", drums, tambourines and "agogô", along with the clapping and singing of the other participants that, apart from defining the combat space, also become immersed in the rhythm, clapping and singing.